Presbytery annual reports are available on the “Publications & Information” page of the Presbytery website. They are downloadable as WORD and EXCEL files and the completed forms can either be mailed to the office or emailed to Autumn at office@shenango.org. The deadline for completing these forms was January 31, 2015. Several churches have not been able to complete their reports by the January deadline in the past, please note that in order for your deceased elders to be included in the special service at the February presbytery meeting, your Necrology form MUST be received at the office by February 13th! Our Executive Presbyter, Ralph Hawkins, preached at Clen-Moore on February 1 and will preach at Westfield, ECO (February 15) and at Wurtemburg (February 22). He will be meeting with current Commissioned Ruling Elders and those who have completed CRE training (February 8). With Rev. Rich Kinney (Highland), he will being sharing photos and stories from their November 2014 visit with Presbyterian partners in Egypt and Sudan (February 15). Ralph welcomes opportunities to preach or bring greetings during a worship service, as well as opportunities to visit Session and Deacon meetings. Schedule a Sunday or a meeting time by contacting him at 724-528-1610 or ralph@shenango.org. 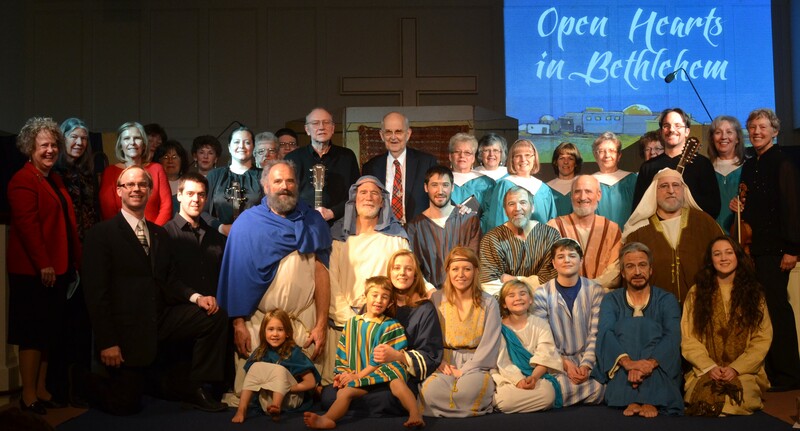 Thank you to all who attended the Open Hearts in Bethlehem play at Trinity Church in Mercer. The $4,000 donated to the Diyar Consortium in Bethlehem by those in attendance was matched by a couple in Indiana so $8,000 was given through Bright Stars in Bethlehem in honor of Dr. and Mrs. Bailey’s service to and love for the people of the Middle East. We are so pleased. Join the PC(USA) Liaison, Rev. Dr. Steve Gorman on a weeklong in-country Synod of the Nile/Egyptian Tourism trip for adults on either April 25-May 5, 2015 or October 10-20, 2015. Cost is $800 (not including airfare, visa fees, or personal expenses). A PDF brochure is available from the Presbytery Office, or you can contact Steve at stevesynodgorman@gmail.com for more details. Calvin Presbyterian Church is cleaning out its library and they have many Christian Children’s and Educational videotapes (VCR required!) that they are no longer in need of. If anybody can use them, they are more than welcome to come get them. Contact the church office at 724-758-4258 by the end of December.